This isn't a real MAD magazine cover. And that's part of the joke. Mort Todd is the former editor of Cracked, and as part of support for the Charlie Hebdo magazine, he zinged both the Moslem terrorists and the wimpy American media. 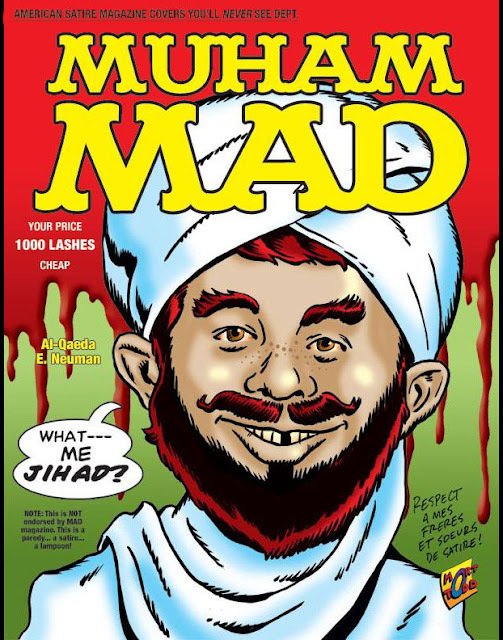 While MAD magazine does offer some good, biting satire from time to time, this MAD cover isn't one of them. Perhaps MAD will step up. In the meantime, I'm sure they can appreciate this from a competitor.